Is Minneapolis the most radical city in America right now? Housing affordability is a major problem in the Twin Cities. 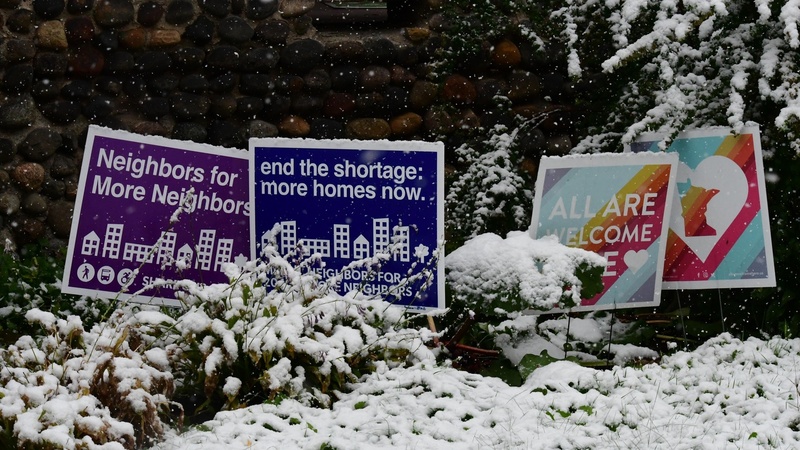 So last month the Minneapolis City Council voted on a rezoning plan for the city that would allow single-family lots to be turned into duplexes or triplexes. The move reverses several decades of single-family-house-only zoning and permits more density. Reversing that trend is something that housing advocates in many other cities and states — including Seattle, Portland and Los Angeles -- have been trying to accomplish. But single family neighborhoods have largely stayed off-limits. So how did Minneapolis pull it off -- and what does it mean for other cities? Evan Roberts with the advocacy group Neighbors for More Neighbors says the change is actually conservative, as in, it goes back to the past. “Until the 1920s there were initially no restrictions on what you could build, and in a lot of Minneapolis, like a lot of American cities, you see a lot of duplexes, triplexes, fourplexes mixed in with single family homes,” Roberts said, pointing out that restrictive zoning changes were gradually added between the 1920s and 1960s. What the change now means is if a house were to burn down, a duplex or triplex could be built in its place. 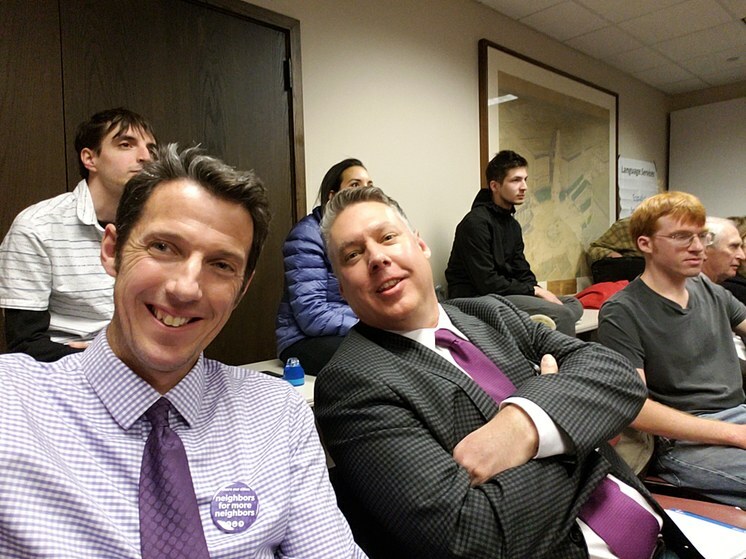 Evan Roberts of the group “Neighbors for More Neighbors” with Vince Netz, who was president of the Prospect Park Association, one of the neighborhood groups that supported much of the Minneapolis 2040 comprehensive plan. Photo courtesy Evan Roberts. Roberts attributes the success of the campaign to strong political leadership, including a wave of progressive Democrats that were recently elected to City Council, as well as a lot of public engagement at street fairs and other events. But some are sounding a note of caution about the coming changes. That’s because, he says, homeowners have other ways to stop multifamily construction such as private restrictive covenants, which can mandate what kinds of buildings are allowed in a neighborhood. But could Minneapolis’ actions serve as a wake-up call for other cities with housing pains, like Los Angeles? “I think change is already happening,” said Rossant. He cites the defeat of Measures S and LV and the resounding support for Measure M as proof of Angelenos’ desire for greater density. Besides, he says, single family home owners should not worry their neighborhoods will suffer from a mix of house types. He singles out Ocean Park in Santa Monica as an example of what can happen. If you live in the UK, Brexit has become like the British sky -- heavy, gray and gloomy.